Sugar Land Superstar is back for its 13th summer and you don’t want to miss it! Bring your lawn chairs to the Plaza and enjoy Sugar Land’s American Idol-like competition, sponsored by David Taylor Cadillac. 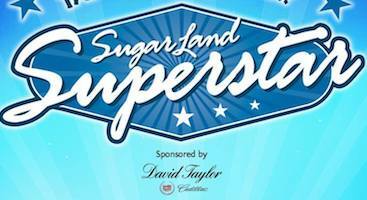 Tonight’s Superstar is the Finale and one lucky winner will be named the 2018 Sugar Land Superstar.